We’ve already discuss the process to make Tequila in a very short and general way, but in order to be a true Tequila Professional you have to understand each process in a very detailed way. 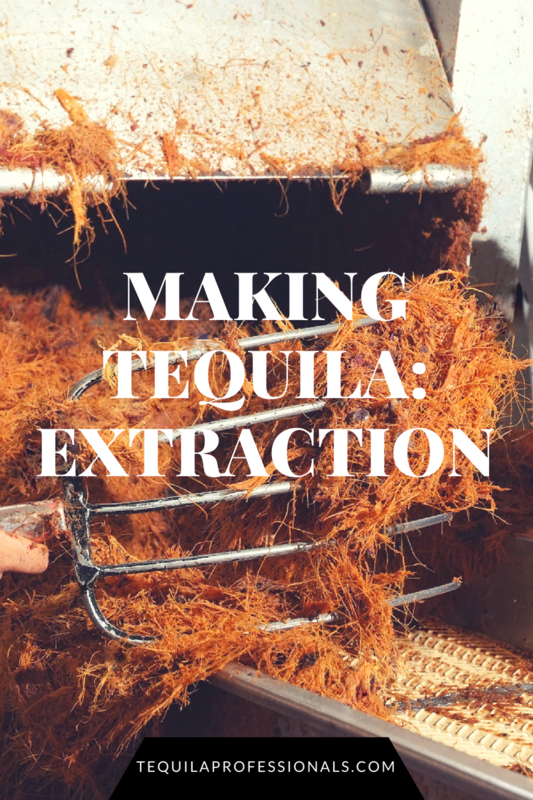 We’ll be posting a series of posts describing the different stages of making Tequila, here’s the third one: the process of extraction. Once cooked, the agave heads are transported to a milling area for sugar extraction. The piñas are cut into small pieces which are crushed and pressed to extract the agave juice called mosto fresco, or “fresh must”, that must will be fermented later. The traditional method is to crush the piñas with a “tahona,” a giant grinding wheel operated by mules, oxen or tractors within a circular pit. Modern distilleries use a mechanical crusher or roller mill to separate the fiber from the juices. They use conveyer belts to slowly move the cooked piñas through a series of crushers while water is sprayed over the fibers to wash the sugary juice from the fibers. The last set of rollers squeezes the fibers dry to remove as much juice as possible. Some Tequila producers use a method called “diffusion”, in which the piñas are not cooked in hornos or autoclaves. It’s a new method where the fibers of raw agave are crushed and steamed using a diffuser. The new method saves time because it has no manual handling, is more efficient extracting sugars and reduces production time. Traditionalist believe that Tequila produced like this doesn’t have the flavours and results of oven cooking.